"If I fall, I get back up." 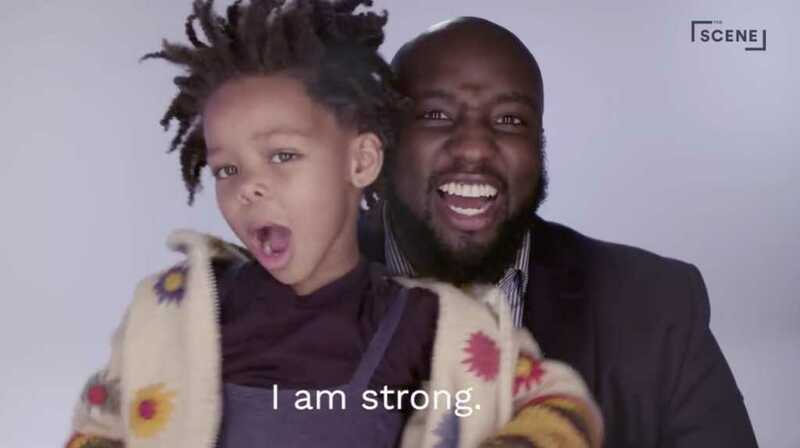 Seven dads recently came together to share some positive affirmations and encouraging words for their daughters — now-viral sentiments aimed at inspiring the little girls to be fearless, to forgive, to love and to have hope in their nation. The video compilation, which was put together by The Scene, featured these dads encouraging their little girls to repeat a series of positive proclamations about their lives and destinies. Some of the other affirmations involved hard work, dedication and the positive treatment of others. Those lines included: “I can achieve anything with hard work,” “I am kind” and “If I fall, I get back up,” among others. The video of these dads’ kind words for their daughters has already amassed more than 2 million views on Facebook since it was posted on Dec. 6. And, according to the clip’s description, the effort was inspired by a previous viral clip from September that featured a dad telling his daughter similar positive proclamations about her life.